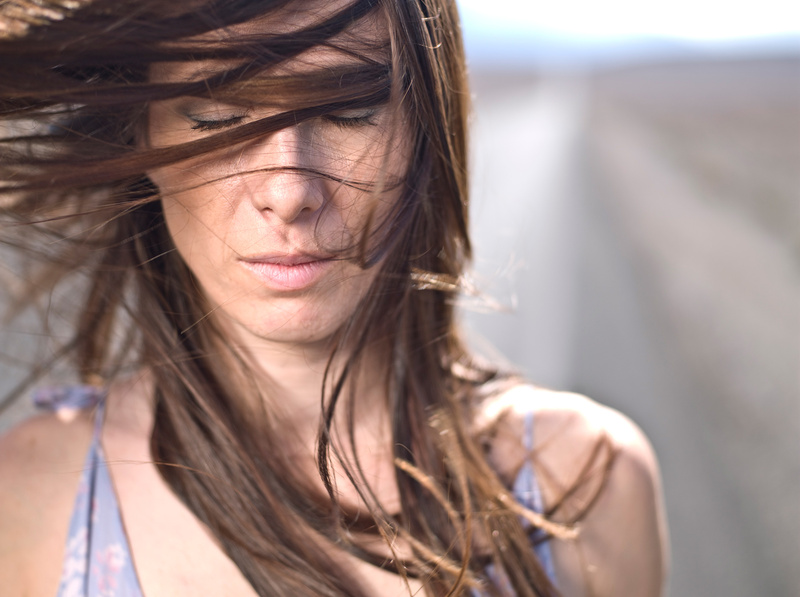 Portrait of a woman with her hair blown across her face. Portrait of a woman with her hair blown across her face. Head shot only her face is visible with a long road behind her. Feeling of very strong wind.